Make a one of a kind delivery to your clients! 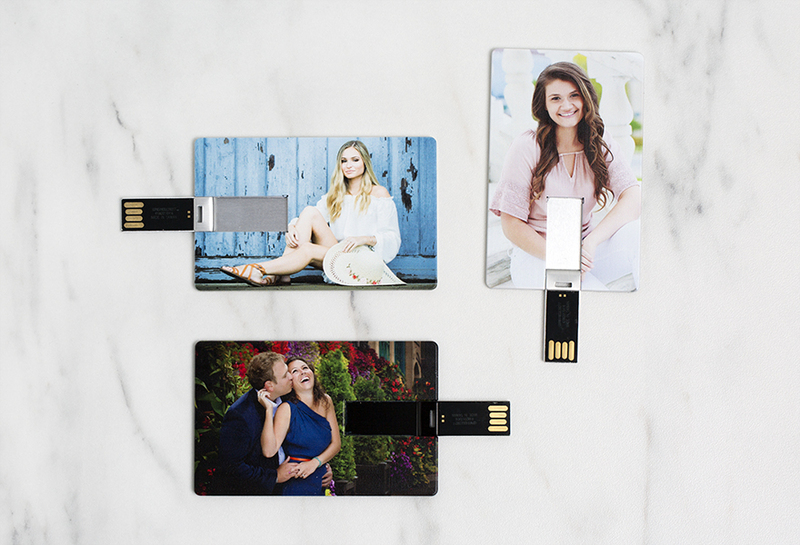 The Credit Card Flash Drive is a slim and stylish USB, perfect for delivering digital files. 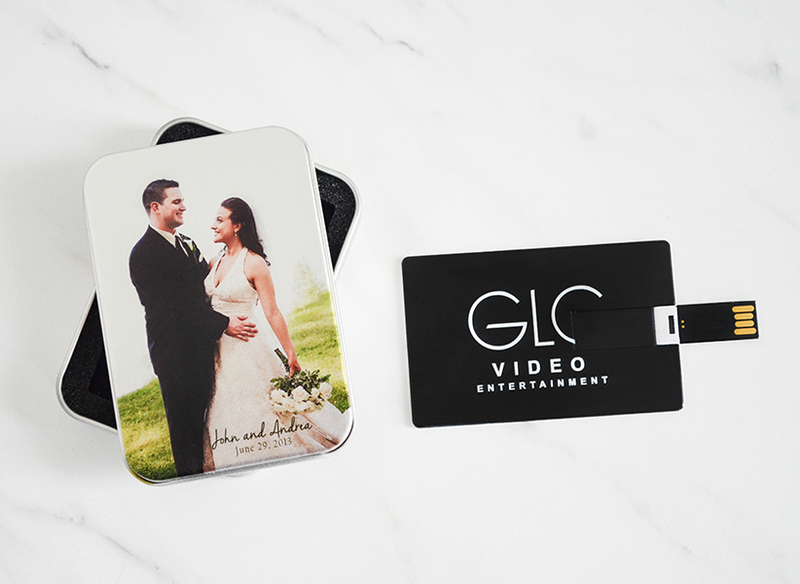 You can customize this product with FREE two-sided color priinting--have your client's favorite image printed on the front and your studio logo on the back! 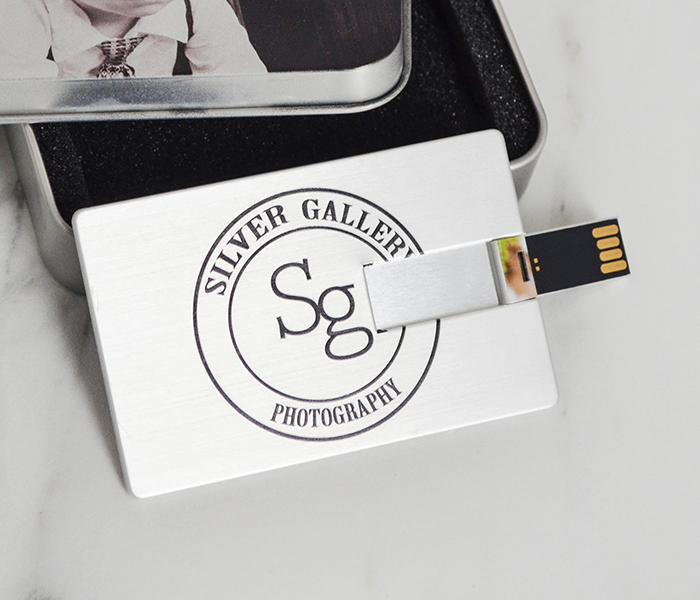 Images look sleek and sharp printed on the smooth metallic surface! Complete your digital media delivery with the Metal Tin (sold separately). Dimensions: 2 1/8" x 3 3/8"
Rate our Credit Card Flash Drive - Metallic.